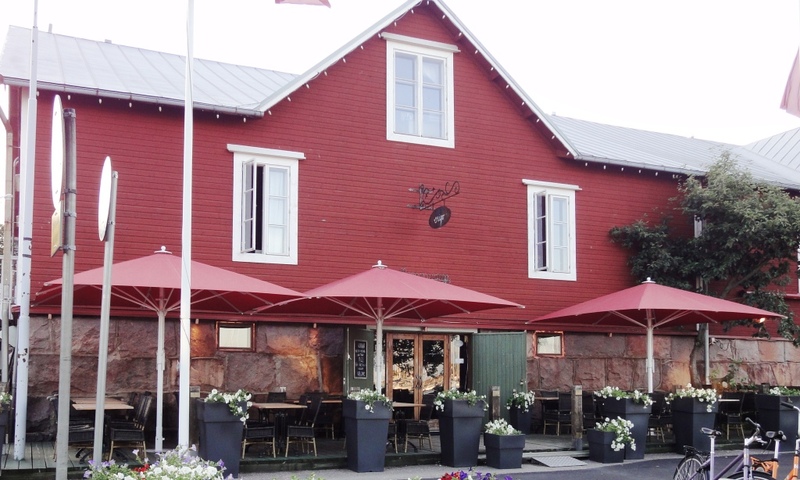 Restaurant Origo is located in the old ware house from 1893 in the Eastern Harbour of Hanko. The first owner of the building was a businessman and customs worker Martin Lignell. 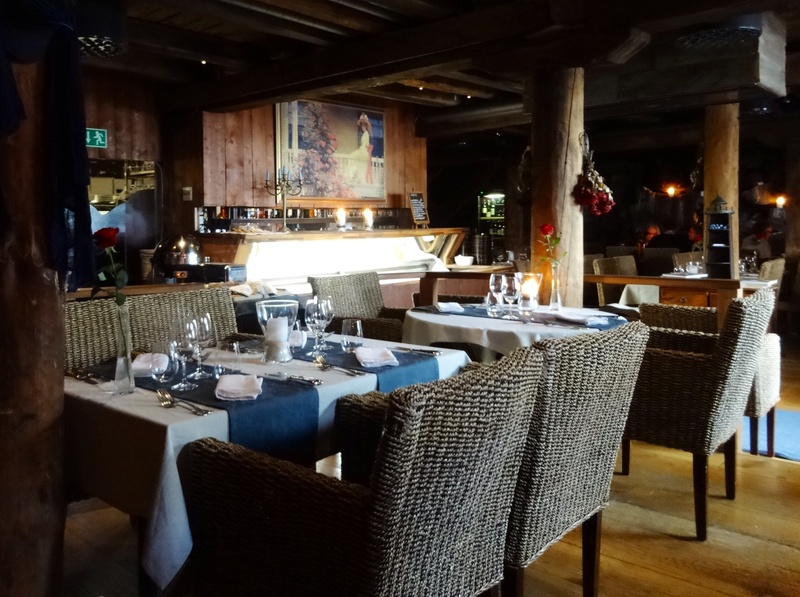 The house was used as a storage room for import and export goods in the early years and was turned in to the restaurant in 1989 after beeing empty for years. 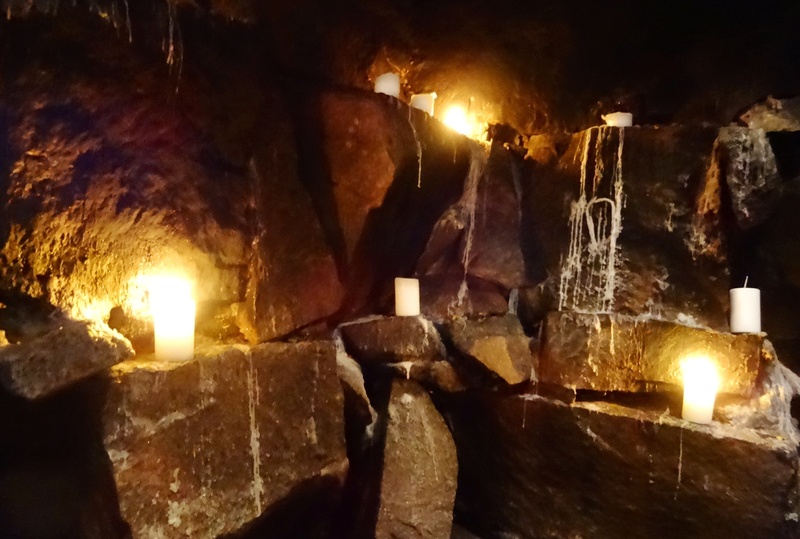 Origo with the relaxed atmosphere and décor is restaurant which with its candles makes dining experience in a way quite unique. Do I remember wrong that couple of years ago there were more but smaller candles? 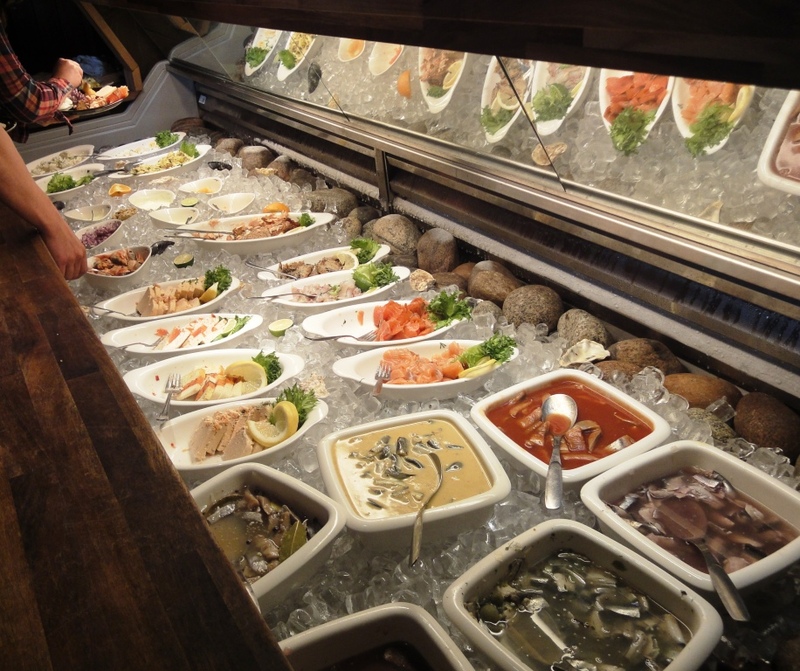 When one enters to the restaurant one can see archipelago buffet from the entrance door. 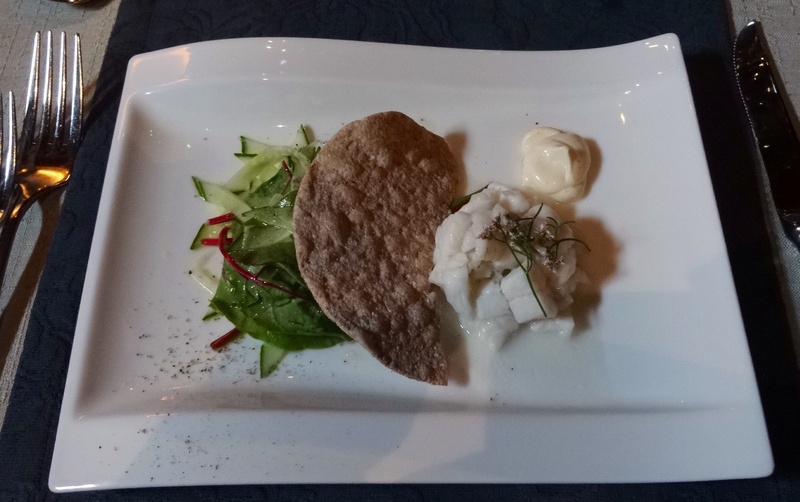 Have had buffet for starter two times before and can recommend it. One can order it also as main course. On hot summer day cold meal might be tempting. 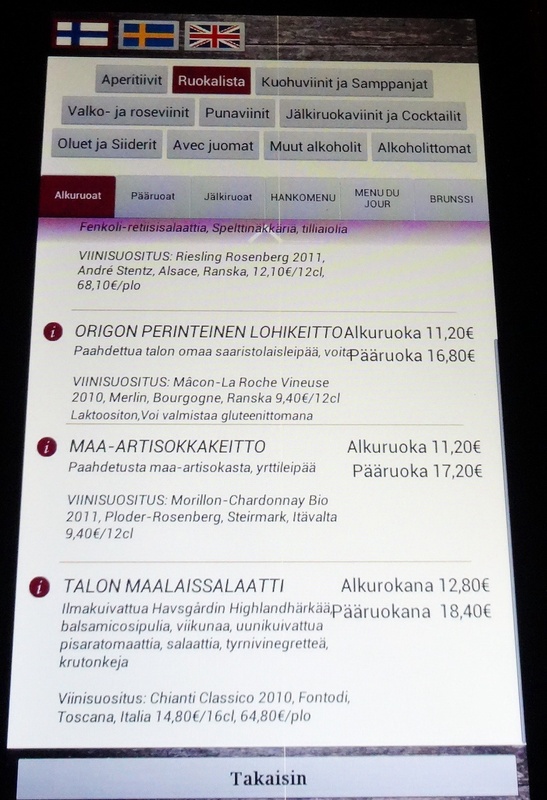 Restaurant has had couple of years tablets as menus. It is easy way to browse what is available. Starters were best part of the dinner. Chevice was finetuned with salad because we asked it not to include radish. 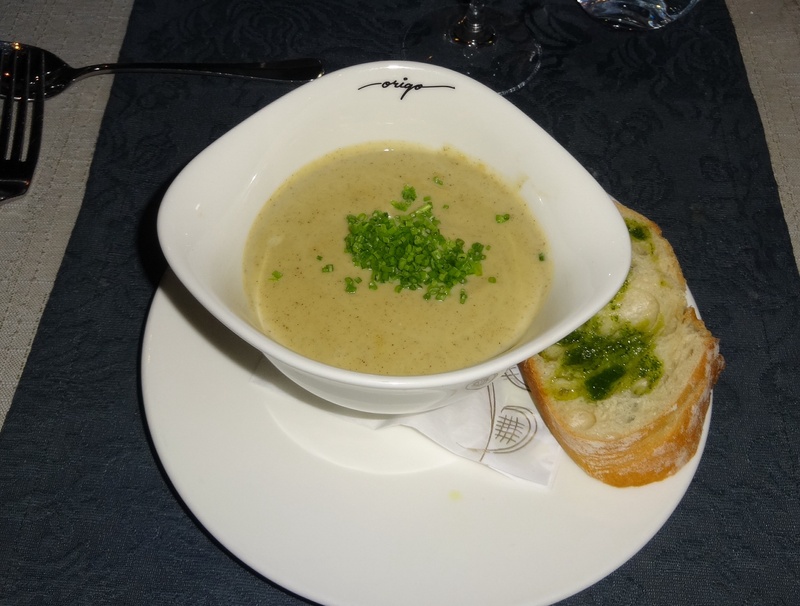 Soup was tasty but quite thick and bread was excellent with pesto on it. 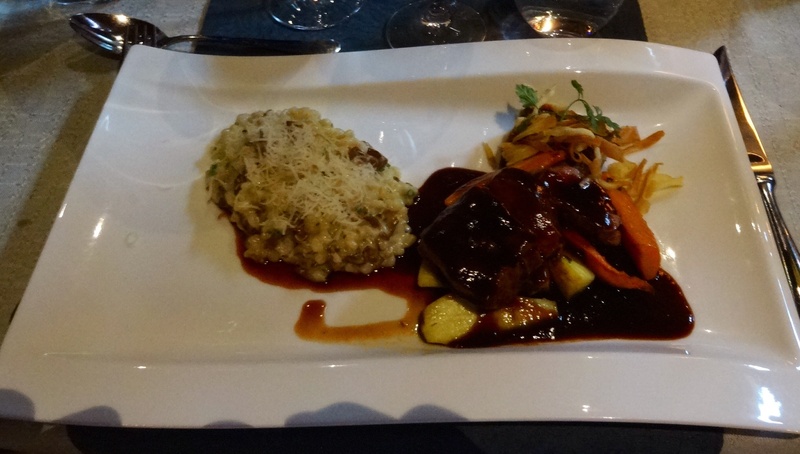 For main courses had ROASTED WHITE FISH Cauliflower flavored with seesame oil, potato terrine with spring onions, puré of fresh peas, butter sauce with carrot and ECOLOGICAL LAMB IN TWO WAYS with risotto made of wheat and chantarelles, roasted root vegetables and port wine sauce. Big thanks to the kitchen for changing cauliflower and peas to carrots. 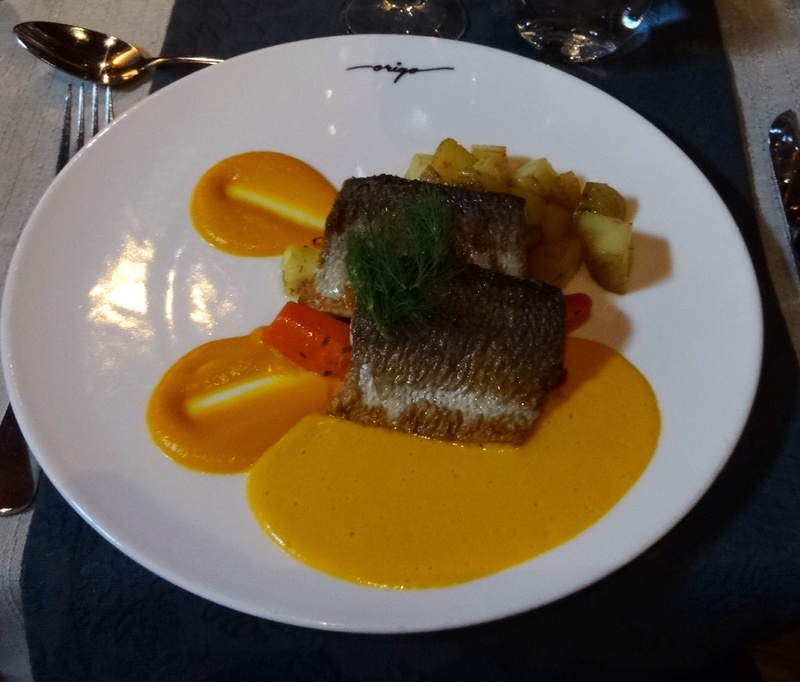 Finnish white fish is always enjoyable and carrot pyre paired well with it. Butter sauce instead tasted too much for butter. One part of lamb portion was chevy but over cooked shoulder was tender as it should be. Risotto from wheat could have been more cooked because big wheat pearls were a little bit hard. Or they just were too big. Unfortunately must say that 30€ for these portions is too much. Odd greasy dessert, should the pieces be colder? 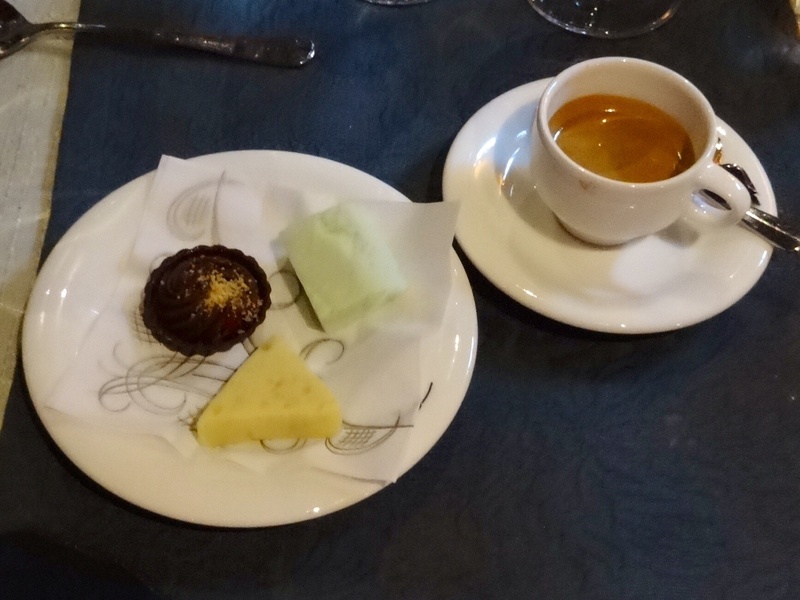 Two years ago restaurant had chocklate from Petri but these did not seemed to be those. Three times before Origo has been able to provide steady quality with good service but something has happened because customers had dissappeared. Other restaurants in the same row of buildings were crowded. Restaurant website has misleading information; upstairs was not open and KUNGFU Girl riesling was not available although it is particularly mentioned. 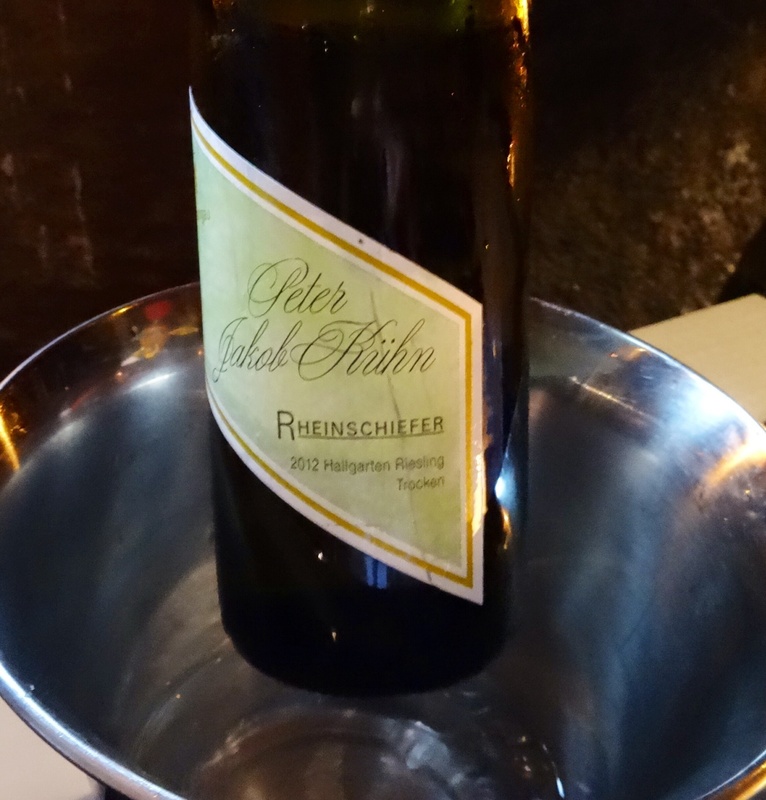 Therefore ordered Peter Jakob Kuhn riesling Rheinschiefer which paired well with dishes. Also had suggested red wine with lamb but it should have been more full-bodied. We were given table from the corner of the room although restaurant was almost empty. Usually customers are given tables so that by-passers can see them from the entrance door. Air conditioning on really warm evening was a plus because we decided to dine inside, not at the terrace. Earlier review can be found by using search and writing Origo. That waterfront area of Hanko is really nicely restored!! Origo was not what it used to be. About 10 customers downstairs and upstairs closed for dining. But there are quite a few waterfront restaurants (if I remember correctly) –maybe others are good/better?